Culture & Society Blog: Conflicts Of Interests To Racism To Dangerous Rhetoric To Bad Business Deals... Trump Really Is The Worst Candidate EVER! 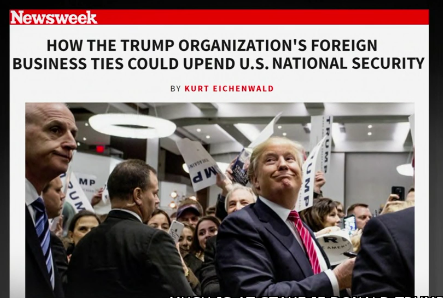 CNN: Newsweek probes Trump's foreign business deals - Newsweek magazine's Kurt Eichenwald explains how Republican nominee Donald Trump has cash tied to Turkey, Russia and India. Newsweek: If Donald Trump is elected president, will he and his family permanently sever all connections to the Trump Organization, a sprawling business empire that has spread a secretive financial web across the world? Or will Trump instead choose to be the most conflicted president in American history, one whose business interests will constantly jeopardize the security of the United States?Throughout this campaign, the Trump Organization, which pumps potentially hundreds of millions of dollars into the Trump family’s bank accounts each year, has been largely ignored. As a private enterprise, its businesses, partners and investors are hidden from public view, even though they are the very people who could be enriched by—or will further enrich—Trump and his family if he wins the presidency. Maddow: No easy answers to resolving Trump's conflicts of interest Rachel Maddow looks at the Donald Trump's business interests like those highlighted in Kurt Eichenwald's Newsweek piece and notes that a blind trust would not resolve conflicts for a "President Trump" and neither would handing the company to his kids. 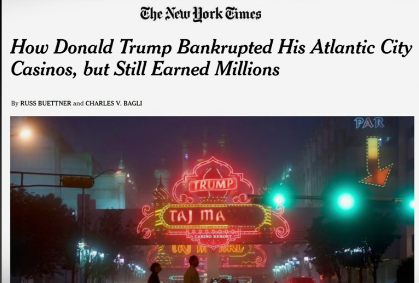 Without a COMPLETE termination of any links between Trump and his organization he can't be trusted to make foreign policy decision without the thought of making profit or harming a country to harm a company's profit there for revenge reasons. Thus the conflict of interest problem is a very big one. Chris Hayes: What we don't know about Donald Trump When it comes to what matters most, we know almost nothing about Donald Trump. 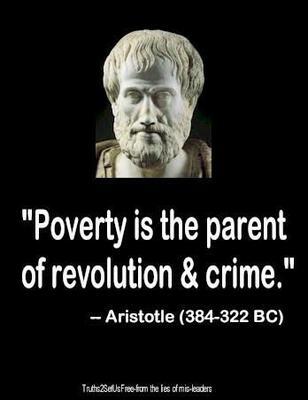 And that's a very scary reality.